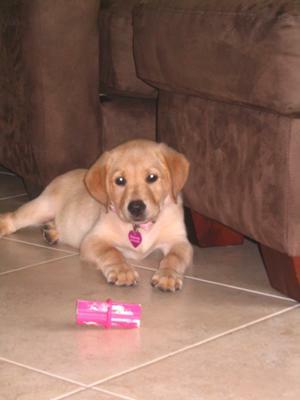 Hanna is our first dog ever, she a pure bred golden lab and sweet and lovable. She's 10 weeks now! !